Amish Urban Gray Tables feature modern gray stain and sleek style. 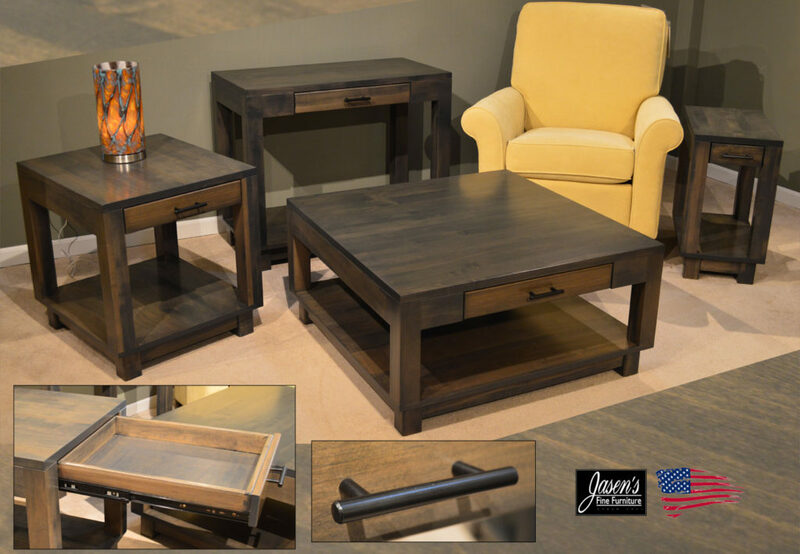 The tables feature solid post legs, full extension glide drawers, and modern gray stain. The pieces can be ordered in any wood specie and stain hence you will find the look that works for your home! The series is very modern, yet will lasts for generations for a complete heirloom style. Furthermore, the tables can be ordered without drawers for a reduced price if needed. The wood species that are available include oak, maple, cherry, quarter sawn white oak, elm, walnut, and more! The hardware featured is a sleek black pipe-style pull that perfectly balances the square style of the set. There are many hardware choices available upon special order if you want to personalize your tables even more! Since the tables are Amish they are all USA made!